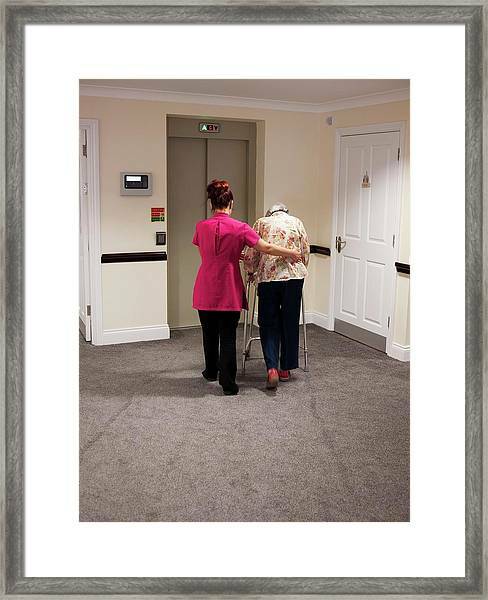 Elderly Woman With Carer is a photograph by John Cole which was uploaded on July 24th, 2016. MODEL RELEASED. 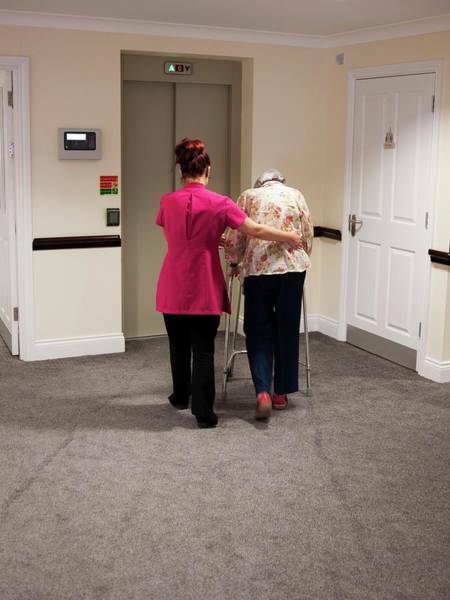 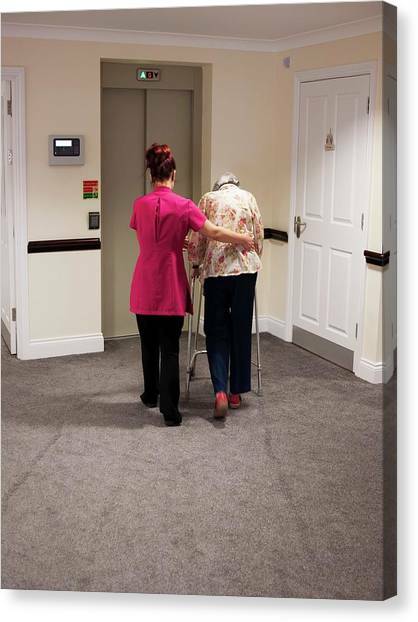 A care assistant with an elderly woman using a walking frame at a care home. 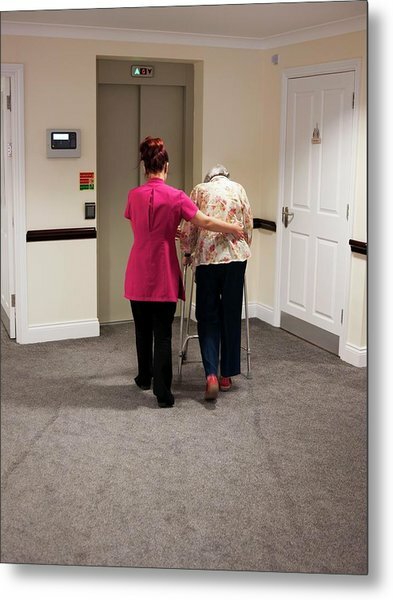 There are no comments for Elderly Woman With Carer. Click here to post the first comment.